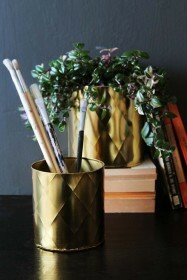 With this planter set you get not one but two gorgeous Gold & Concrete Hanging Planters! With one slightly bigger than the other, they will make a great display next to each other but equally can be split up around the home should you wish. 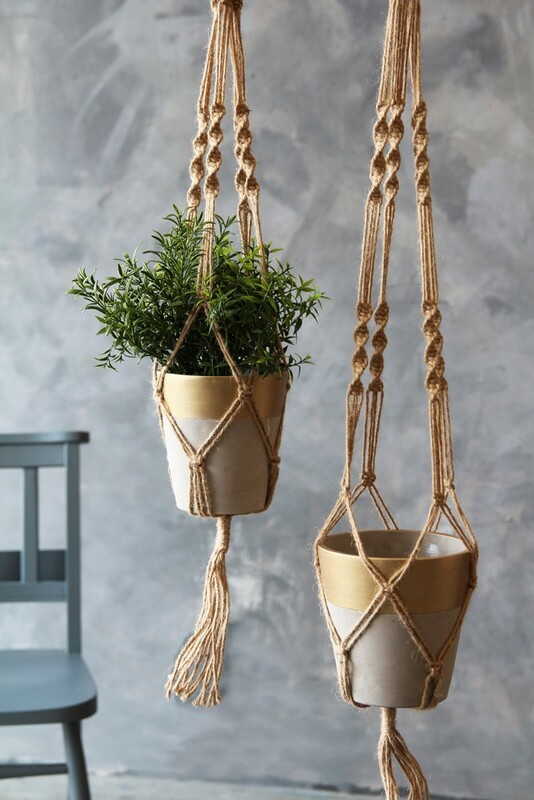 The contrast between the grey of the base and the gold colouring around the top is very simple yet trendy, the rope hanger and planter support adds a boho look that will fit into most colour schemes. 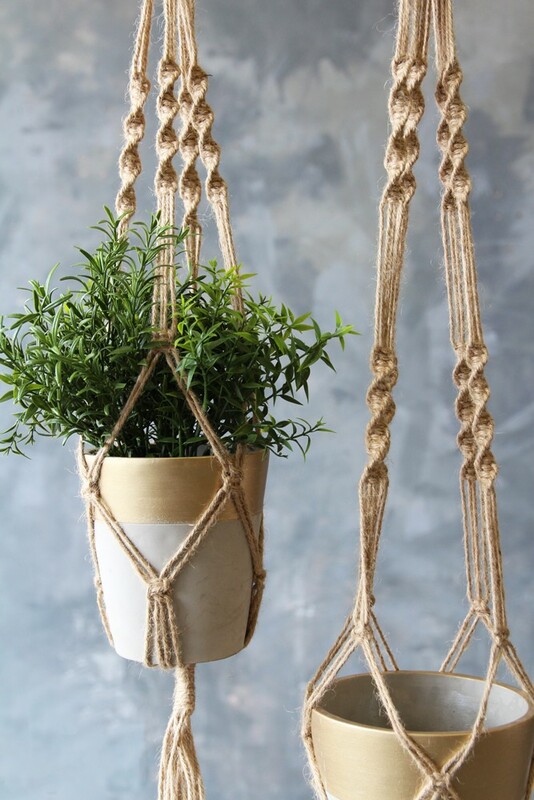 Add your own ferns or flowers to make this Set of 2 Gold & Concrete Hanging Planters a real feature in your kitchen, conservatory or any room in your home.